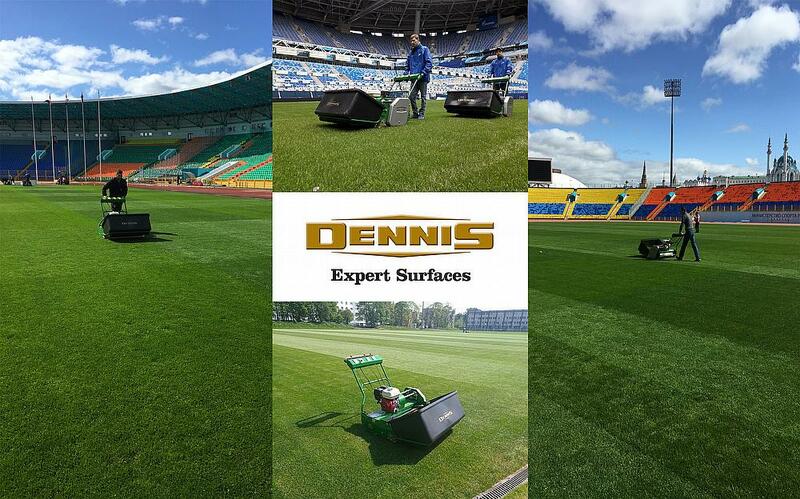 A staggering 88 Dennis mowers will have the task of preparing stadium and training complex pitches for the world’s greatest football players throughout the tournament while some venues will also utilise the Dennis Premier in conjunction with the G860 for matchday preparation. 7 of the 11 stadiums will use Dennis mowers, including those hosting the quarter finals, the semi-finals and the final, and 70% of the training camps will also be maintained by Dennis. Steven Rienks – managing director of Queens Grass, who are the official Dennis dealer in Russia, has orchestrated proceedings and admits it is a proud moment for himself and his company. While the games will no doubt attract billions of viewers worldwide, many will be oblivious to actually what goes into ensuring the pitch is up to the standards expected for a tournament as prestigious as the World Cup. Even before the pitch is prepared, contracts must be concluded and signed and Steven admits that it can be somewhat of a rigorous process. “Every offer was made specifically for each stadium and training complex and all were tendered by the Russian Government. Then of course there are the complications of dealing with an eastern European country – let us say that the customs and borders in Russia are an interesting challenge.